Content: Tribulus terrestris (no added compounds any kind). Dosage: A typical dosage of 80-150 mg of tribulus per day is fairly common. If used together with Tung Saw (Tongkat Ali), Krachaidam or Butea Superba. Daily dosage of 100mg of Namdin Extract is enough. 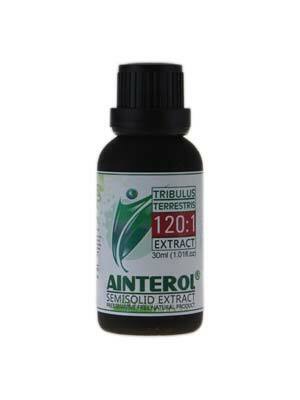 Tribulus Terrestris contains three groups of active phytochemicals: Dioscin, protodioscin, diosgenin and similar. These substances have effect on sexual performance and may treat various sexual disorders, they regulate sexual energy level and strength by increasing the percentage of free testosterone level for men and they effect pregnenolone, progesterone and estrogen. The hormone balancing effects of Bulgarian Tribulus Terrestris for women makes this herb suitable for premenstrual syndrome and menopausal syndrome. Sterols like ᵦ-sitosterols or stigma. These substances protect the prostate from swelling and in combination with the X steroidal saponins, protect the prostate from cancer. Store Namdin at room temperature, between 68-77°F (20-25°C). Store away from heat, moisture, and direct sunlight. Keep it out of the reach of children. When opened, best usage in 8 months time. Close cap well after usage. Namdin does not stop the spread of HIV or other sexually transmitted diseases (STDs) to others through sexual contact. Use barrier methods of birth control (eg, condoms) if you have HIV infection or an STD. Namdin will not prevent pregnancy. If your partner may become pregnant and you wish to avoid pregnancy, be sure to use an effective form of birth control. Use Namdin with caution in the elderly. They may be more sensitive to its effects. Namdin is not recommended for use in children and minors.